You are here: Home / Sermons / Sermons on Luke / Luke 4:31-41 – Who is Jesus? He is Lord! One of the first words children learn to say is “Mine.” Have you heard of the property laws of the toddler? They are the rules toddlers use to determine who owns what. Here they are. If it used to be mine, it’s still mine, even if I never play with it anymore. It it’s broken, it’s yours. This is what we learn in Luke 4:31-41. Actually, this is one of the main lessons of Luke 4, 5 and 6. We see through truth throughout the entire Bible, but especially in these three chapters in Luke. Jesus Christ is Lord. Jesus Christ owns all things. Jesus Christ has ownership. He has authority over everything. In Luke 4:31-41, we learn that Jesus has authority with the Word, authority over demons, and authority over disease. But later, in Luke 5 and 6, we learn that Jesus also has authority over nature (Luke 5:1-11). He has authority over the law (Luke 5:12-16). He has the authority to forgive sin (Luke 5:17-26). He has authority over cultural stigmas (Luke 5:27-32). He has authority over tradition (Luke 5:33-39). He has authority over the Sabbath (Luke 6:1-11). Luke 4:31-41 just contains the first three of these. Luke 4:31. Then He went down to Capernaum, a city of Galilee, and was teaching them on the Sabbaths. 32And they were astonished at His teaching, for His word was with authority. We have already seen in Luke 4 that this was Jesus’ typical pattern for the week. 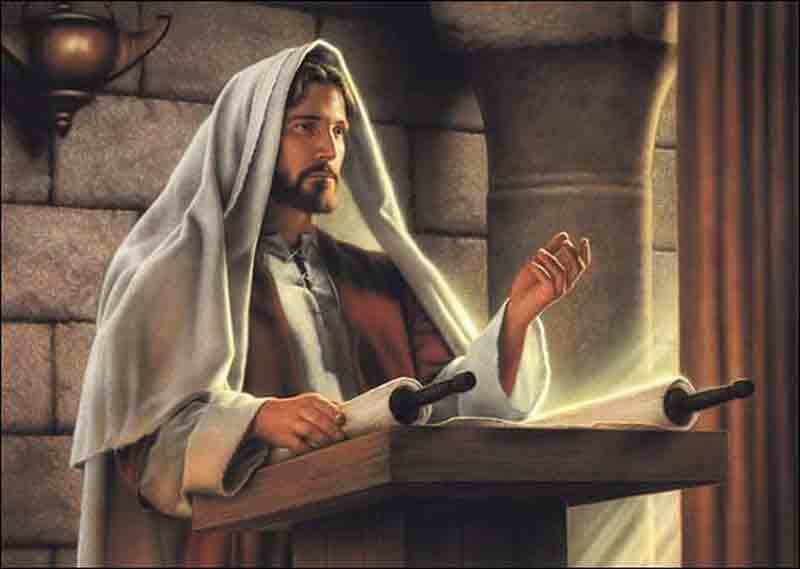 He could be found every Sabbath in the local synagogue, doing some teaching from the Word of God. 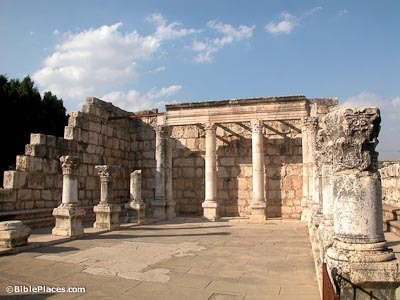 This time, He is in the city of Capernaum, which is northeast of Nazareth, and is on the shore of the sea of Galilee. Even though Jesus traveled north, it says He went down to Capernaum, because Nazareth was in the mountains, and in a much higher elevation. So He goes to Capernaum, on the shore of the sea of Galilee, and was teaching in the synagogues on the Sabbath days. And verse 32 says that that the people were astonished at His teaching, for His word was with authority. This is the reaction Jesus gets everywhere He goes because He simply teaches the Word of God simply. He taught the Bible in ways that the average teacher of that day did not. Rather than simply quote the various Jewish teachers and commentaries as most of the teachers did, Jesus taught the actual Word of God. He read the Word. He explained the Word. He applied the Word. This has always been the divine pattern for teaching the Bible, and none did it better than Jesus Christ. It is this kind of teaching alone that has authority. I mean, think about it. If somebody gets up and says, “I think that this is what life is all about, and this is how we should live,” and then somebody else gets up and says, “No, that guy was all wrong. This is what life is all about, and this is how we should live,” how do you know which one to trust? Will you base your trust on which one has the most education? Some choose to follow whichever is older and hopefully wiser. Of course, maybe he is just stuck in his ways. Some decide who to believe by how good looking they are, or by how well dressed they are. These sorts of judgments are made all the time in politics and during elections. But the fact of the matter is that none of these things really determine truth. Somebody who is young can be more right than somebody who is old. Somebody who has three doctorates can be more wrong than somebody who only has a GED. So when we compare what one man says with what another man says, there is no true way to determine who is right. But, when God speaks, we know it is always right. When God speaks, we had better sit up and listen. When God speaks, we know it is absolutely trustworthy and reliable. That’s why, when it comes to information about life and death and how to live in this world, how to have good marriages, how to live holy and healthy lives, how to raise our children, how to handle our finances, how to work at our jobs, how to interact with the government and so on, it doesn’t make any sense to listen to what men say and reject what God says. If God says it, that settles it, and it is a waste of everybody’s time to focus on anything else. Let me put it another way. If from this pulpit, you ever hear me preaching anything but the Word of God, you might as well stop coming to church because I am just wasting your time. If you want man’s opinions on something, you can turn on the television, or check out a book from the library, or even go over to Jerry’s saloon. All of those places will provide you with their opinions on any question you have. And if all you’re getting at church is more opinions of man, then attending is just a waste of everybody’s time. But if you are getting God’s opinions as found in the Word of God, then all of those other things are a waste of time. Jesus came on the scene, and He said, “Look, people, we’re not going to waste our time anymore on man’s opinions. I’m going to give you God’s opinion. I’m going to tell you what God thinks. I’m going to explain His Word to you, and show you how to apply it to your lives. The Word of God is where the authority is; not the word of man.” Why did Jesus’ teaching have authority? Because He taught the Word of God, rather than the opinions of man. Our teaching can have the same authority today if we also focus only on teaching the Word of God. Jesus had authority with the Word of God. Luke 4:33a. Now in the synagogue there was a man who had a spirit of an unclean demon. Here we are, in the synagogue on a Sabbath and a man is there who is demon possessed. I find this quite odd. Here is a demon possessed man attending the Jewish church. We don’t often think of demon possessed people attending church, but here we have one. Why did he come to the synagogue that day? Not to hear the Word of God. Not so that he would get cast out. He came that day so that he could cause strife and dissention and division in the synagogue. Look what happens. Right in the middle of one of Jesus’ sermons, this man jumps up and disrupts the whole thing. Very likely, the man’s voice would have been chilling and demonic. The demon, who cannot stand to hear the Word of God preached, was trying to cause chaos and confusion. That is always Satan’s goal – to keep the Word of God from being preached, and to introduce chaos and confusion into the church. If you ever see a church where the Word of God is not preached, and where chaos and confusion are the norm, you can be fairly certain that evil spiritual forces are at work behind the scenes. But notice what the demon says through the man. He says, Let us alone. What have we to do with you? Did You come to destroy us? Even though there was only one demon in this man, it uses the pronoun us because Christ will deal with them all at one time in the future. All demons are in the same sinking ship. When Jesus came on the scene, the demons knew they were going down. They knew they were going to be destroyed. That’s what the demon says here. It reveals that it knows who Jesus is. It says, I know who You are—the Holy One of God!” There was a belief in that day among street magicians and those who tried to practice sorcery and things of that sort that you could gain power over a person by naming them. So this demon possessed man, by naming Jesus, is trying to gain power over Jesus. But Jesus is not bothered by such a futile attempt. He is not phased. Jesus cannot be controlled. Jesus simply rebukes the demon and casts it out of the man. Luke 4:35. But Jesus rebuked him, saying, “Be quiet, and come out of him!” And when the demon had thrown him in their midst, it came out of him and did not hurt him. Generally in those days, as in ours, attempts to exorcise a demon, or cast out an evil spirit would often take long periods of time, and great contests of power between the demon and the exorcist. Oftentimes the exorcist tries to talk to the demon and converse with it. But not Jesus. He doesn’t enter into a conversation with the demon. He doesn’t try to debate with the demon. He doesn’t have any counter-magic, or secret formulas. He just commands the demon to be quite and to come out. The phrase be quiet comes from the Greek word phimothete, and is used of muzzling an animal. Jesus effectively muzzles this demon, forcing it to be silent against his will. And the demon does. It must obey. Even demons must obey Jesus Christ. But notice that even in its obedience, it tries to disobey. It tries to commit one last act of rebellion against Jesus by throwing the man down in their midst, in order to hurt the man. Those whom Satan cannot destroy, he tries to harm. But even here, Christ’s power and authority protects the man. Jesus is in complete control – even over the disruptive and destructive intentions of demons. The crowd recognizes the power and authority of Jesus and in Luke 4:36, they reveal their amazement. Luke 4:36-37. Then they were all amazed and spoke among themselves, saying, “What a word this is! For with authority and power He commands the unclean spirits, and they come out.” And the report about Him went out into every place in the surrounding region. Jesus has authority and power over unclean spirits. Those who tried to cast out demons in that day did so with spells and charms. Sometimes they would try to scare the demon out or make it too sick to stay. One popular method was putting a smelly root up the possessed person’s nose in the hope that the demon would not be able to stand it. Other times the exorcists would try to invoke the name of some higher spirit to get rid of the lower one. That is why later in Jesus’ ministry, He gets accused of casting out demons by the name of Beelzebub (Matt 12:24). But Jesus has none of these charlatan’s tricks. He simply tells the demon to leave, and it does. The people are amazed at this. And when the demon tries to harm the man, Jesus is able to protect him. The people have never seen such authority and power. And they spread news of Him throughout the surrounding region. Now, if Jesus Christ is in your life, you do not need to worry about demons or evil spirits taking over. Oh sure, they can come and whisper lies in your ear, they can affect circumstances in your life to try to get you to fall away from God, to stop attending church, and to keep you from reading your Bible and praying. But if Christ is in you, then this power and authority He has over the unclean spirits is in you also. You cannot be possessed by a demon, you cannot be controlled by an evil spirit, for greater is He that is in you, than he that is in the world (1 John 4:4). Jesus Christ has authority over demons, and when Christ is in you, He brings that authority with Him. You do not have this authority, but He has it in you. With Christ in you, there is nothing you need to fear from evil spirits. Christ will protect you because He has authority over demons. Finally, let’s look at Christ’s authority over disease. Luke 4:38-39. Now He arose from the synagogue and entered Simon’s house. But Simon’s wife’s mother was sick with a high fever, and they made request of Him concerning her. So He stood over her and rebuked the fever, and it left her. And immediately she arose and served them. Jesus has had quite a long day. He went to the synagogue first thing in the morning to teach, and any of you who have done much teaching knows that it takes a lot out of you. It is mentally and physically and emotionally taxing to teach others. But more than just teaching from God’s Word, Jesus had also had an encounter with a demon possessed man. Jesus handled this in a way that affirmed His authority, but even still, any encounter with the enemy takes a lot out of you. And now the day is over and it is evening. The sun has set and dusk has come. We know this because no Jew was allowed to do work on the Sabbath, but at the end of Luke 4:39, Peter’s mother in law serves Jesus and the other disciples. She would only be able to do this if the Sabbath was over, if the sun had set. And Jesus did. It says He rebuked the fever, and it left her. Now some look at this, and see the similar terminology here and when Jesus rebuked the evil spirit in Luke 4:35, and assume that Jesus must be rebuking an evil spirit of fever here, or something. And later in Jesus’ ministry when he rebukes the wind and the waves, they see demons at work there too. But I personally think that this is giving Satan and demons far too much credit and far too much power. Satan and demons are not the cause behind everything bad that happens in your life. Sometimes, bad things happen just because as a result of sin, that is the kind of world we live in. And how do you change the world? You evangelize it. Frequently, bad things happen in our life because of our flesh. How do you defeat the flesh? You crucify it. Other times, bad things happen because God is allowing them to happen so that we draw closer to Him. But chances are that for the most part, the devil and his forces are not to blame for most of the things that go wrong in your life. Be very careful about seeing demons under every rock and behind every tree. That is giving them much more credit than they deserve, and much more power than they have. Certain writers and teachers claim that there are AIDS virus demons, cancer demons, and arthritis demons. There are demons for infection, migraine headaches and all kinds of pain. According to them, there are even nicotine demons. This sort of preoccupation with demons in some circles today is not a healthy thing. I do believe there is demon possession today, and while I do not believe that Christians can be demon possessed, I do believe that some Christians are demon obsessed. It seems that all they do is talk about demons and focus on demons and see demons behind every problem and sickness and accident. But nowhere in the Bible are we told to seek out demons, or pray against demons, or even pray against the devil. We are to resist the devil. And how do we do that? By living in the light. Look, if you go into a dark room, you don’t speak against the darkness, and give seminars about the darkness, and have a rally against the darkness, and tell everybody that there is darkness everywhere. You just turn the light on. That’s the best way to deal with spiritual darkness too. You want to defeat the devil? Turn the light on. And what is the light? God says that His Word is the light. And Jesus said of Himself that He is the light of the world. How do you defeat darkness? Spread the Word and spread Christ. Defeat darkness by spreading the light. And this is what Jesus has been doing. He has been doing all He can to shed the light and spread it far and wide. Occasionally, His light falls on some cockroach of a demon that He has to deal with, but then He just goes on shedding the light. Quite to the contrary, when a person was demon possessed, it was very clear and very evident to everybody that that was the problem. Jesus never gave a surprising diagnosis like, “Well, you think it’s a fever, but this is actually a demon. Let me cast it out of you.” Similarly today, I think we cannot associate sicknesses and physical problems with demons. Jesus didn’t do that. The people in the Bible didn’t do that. Nor should we do that. When it’s a demon, it’s a demon. When it’s a fever, it’s a fever. 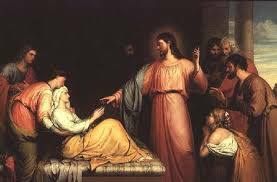 And in this case, they make a request that Jesus heal her, and He does. Miraculously, the germs or virus that was causing the fever was removed from her body. That is what happened. As soon as she gets better, she gets up and serves them as an act of worship and thanksgiving. When Jesus ministers to us, He desires that we turn around and minister to Him. When He serves us, it is so that we can be better equipped to serve Him. Another speaker says, “The reasons [people] are not getting healed is that they are thinking wrong…They simply kept thinking, believing and talking wrong.” This same speaker writes in a later book that divine health is our covenant right. And rather than make a simple request that God heal you, and then leave the matter with Him, some of the teachers say that we should demand healing, since it is our right. One instructed his followers that praying for God’s will to be done was stupid. It says that such prayers are an insult to God. These teachers, and others like them, have simply shown us that they are false teachers and should be avoided at all costs. 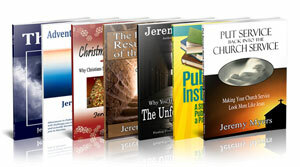 For the Bible teaches that sometimes God does allows pain and suffering in order to accomplish His purposes. Most of the time, pain and sickness has nothing whatsoever to do with sin in our lives, or with demonic influence. The Bible is very clear on this. However, when we are sick, it is a privilege to go humbly before the Father and make a request for Him to heal us. Not a demand. A request. And He may or may not heal you. That’s His prerogative. That’s His choice. There may be reasons He wants you to remain sick. There may be lessons He wants you to learn. Simon made a simple request of Jesus, and Jesus granted him his request. Jesus showed that He has authority over sickness and disease. And in fact, the next few verses of Luke 4 show that this continued on into the night after the sun had set. Luke 4:40-41. When the sun was setting, all those who had any that were sick with various diseases brought them to Him; and He laid His hands on every one of them and healed them. And demons also came out of many, crying out and saying, “You are the Christ, the Son of God!” And He, rebuking them, did not allow them to speak, for they knew that He was the Christ. Because the sun was setting and the Sabbath was over, people could now carry their sick to Jesus in order to be healed by him. We again see that Jesus has authority over sickness and over demons. 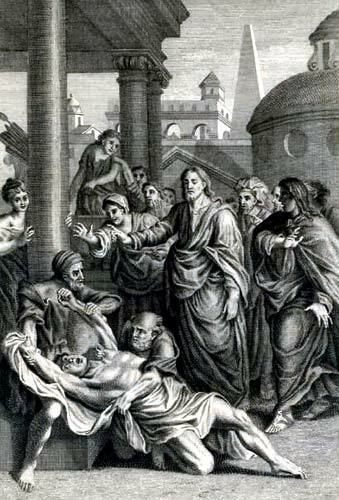 He healed them of their diseases, and He rebuked and cast out the demons. Jesus has authority. He has it with the Word. He has authority over demons. He has authority over disease. There at the end of Luke 4:41, we read that when the demons came out of people, they were crying out, You are the Christ, the Son of God. But Jesus did not allow them to speak. Why not? Well, there are many reasons. For example, He did not want to receive the testimony of demons about who He was. He did not want people to think that He was in league with them by letting them proclaim who He was. But the main reason I believe is that Jesus did not come to earth so that demons could acknowledge Him as the Christ, or as the Messiah. He came to earth to be acknowledged as the Messiah by people. So who do you say that Jesus is? What does the evidence point to? For centuries people believed that Aristotle was right when he said that the heavier an object, the faster it would fall to earth. Aristotle was regarded as the greatest thinker of all time, and surely he would not be wrong. Anyone, of course, could have taken two objects, one heavy and one light, and dropped them from a great height to see whether or not the heavier object landed first. But no one did until nearly 2,000 years after Aristotle’s death. In 1589 Galileo summoned learned professors to the base of the Leaning Tower of Pisa. Then he went to the top and pushed off a ten- pound and a one-pound weight. Both landed at the same instant. The power of belief was so strong, however, that the professors denied their eyesight. They continued to say Aristotle was right. Are you going to continue to deny what is right before your eyes? Jesus has authority with the Word. He has authority over demons. He has authority over disease. In the next few weeks, we will see that He has authority over everything else in creation also. And all of this evidence will point us to one single fact. Jesus is Christ. Jesus is the Messiah. Jesus is Lord. If you have not already come to that conclusion in your own life, I pray that as we continue to study through the book of Luke, that will be the conclusion you come to. Submission to the Lordship of Christ in your life is the only way to set straight some of the things that have gone wrong in your life. Do you have marriage problems? Do you struggle with sin? Do you feel depressed and worried? The answer to all of these is to put Christ at the center of your life where He belongs. Great article. You have the gift of teaching in a straight forward way just using the word and letting it speak for yourself. Your right about demons and the devil . In some church’s the only reason they cause divison and bad theolgy is the leadership sees demons in everything. I am not proud of it but I have a background in satanism and the occult , and have seen what demons can do. Actually very little as if you are not a believer their power and influence is as much as you give them. In the life of a believer ( Job is an example) the devil and his minions are limited by what The Lord allows them . And remember they are constantly accusing the brethren before the throne. So with my background being involved with the dark side, as a believer , I have found with my sin nature, I can get into plenty of mischief just by following the sarx. Some crimes and acts are without a doubt druven by demonic forces. Especially crimes against children. With the holy spirit living inside the believer in Christ you can’t be controlled by demons and all it takes is standing on the promise of the cross, where death was defeated. When I became a Christian I had a bit of harassment for a while as I’m sure they where mad to lose their poster boy, but even as a new believer I just stood on the blood of cross and the Resurection and they really where pretty wimpy at that point. Thanks, Mike. A while back a lady asked me to come cast the demons out of her car because it wouldn’t start one Sunday morning. She was convinced that Satan stalled her car so that she couldn’t attend church. All she needed was a new battery. It is too bad when we give Satan credit for such ordinary things that happen in life. Hopefully we can stop focusing on demons around every corner, and focus instead on Jesus.